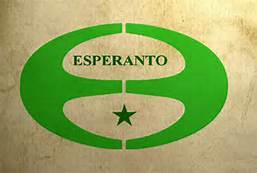 What started him out was that he heard of Esperanto, an invented international language, and thought the concept was cool. He learned it, but then got too busy to practice it much. So, haiku. 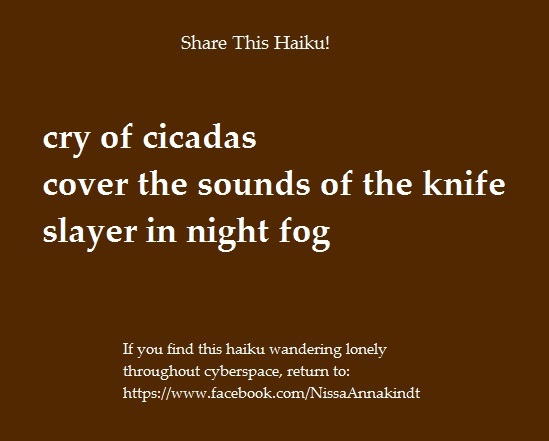 A haiku a day— not serious haiku at first, but an effort. Which led to learning more about haiku, and publication, and authorship. Persistence paid off. I don’t write an Esperanto haiku every day. In fact, I’ve only ever written one haiku in Esperanto, plus two free-verse poems— with English translations, of course. But I am trying to write a poem every day— if not haiku, then senryu, sijo or free verse. This morning I wrote my first tanka— another Japanese form, like haiku. This is how becoming a writer happens. You write every day— even if it’s something you don’t think anyone wants to read. Even if you are an Aspie or autistic and you don’t think you can ever communicate anything with others very effectively. But you keep it up, year after year, building your skill, and then the day comes when you can look back on a record of achievement. Want to learn to write haiku in Esperanto? Go to the Lernu! web site for free Esperanto lessons. http://en.lernu.net/ When you have studied for three months or so, buy Wells’ Esperanto dictionary and The Haiku Handbook by William J. Higginson, and get started. If you want to share some of your best Esperanto haiku, you can come back to this blog and post it as part of a comment on a poetry-related post. Or you can post it on Twitter using hashtags #Esperanto and #hajko so Esperanto speakers can find it. Tweeting poetry. It’s a thing now. People write poems and tweet them using hashtags like #poetry or #haiku. Even if it’s a #senryu they use #haiku. Defending the 2nd Amendment on Twitter is also a thing. 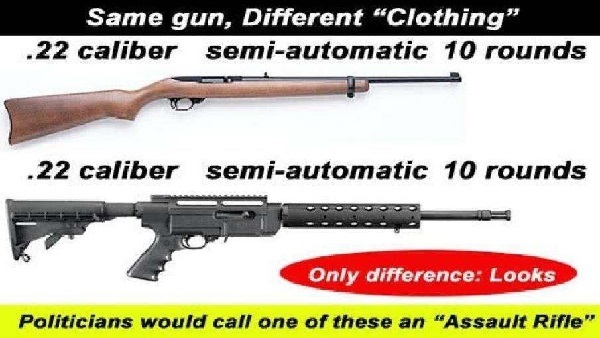 People use the hashtag #2A for that. But why not combine the two— write 2nd Amendment poetry and tweet it? The hashtag I use for that is #2Apoems. This topic got my attention because on my most recent visit to the website Poets United, they had an anti-gun rant poem and expected all people, even LGBT people, to be OK with them using the murders in Orlando as an excuse to promote their gun ‘control’ agenda. So, I no longer have Poets United as a venue to share my poems, so I took to Twitter. Ready to join the 2nd Amendment poem revolution? Even if you don’t normally write poetry, if you can come up with a clever or pithy saying once in a while you can probably do this. The kind of poems most people tweet are called ‘micropoems’— very short poems. Haiku, a traditional Japanese form of poem, are a popular kind. You may have learned to write them in school. Schools teach that a haiku must have 3 lines— one of 5 syllables, one of 7, and one of 5. But most serious haiku writers aren’t strict with that since classic Japanese in English translation can have fewer syllables than that. How do you get started to compose a haiku? Collect some keywords first. For example, in the poems above, the keywords could be ‘deer rifle’, ‘assault weapon’, ‘blossoms’, ‘pink pistols’, ‘muskets’, ‘mass destruction.’ If you can’t think of keywords, look at a 2nd amendment related article or news and just pick out a random bunch of words you find striking. Pick out a few keywords on your list— 4 to 6 is plenty for a haiku— and look at them. Let them sink in. Then start writing. You have my permission to write a few haiku that are really stinkers before you come up with one worthy of Tweeting. Strictly speaking, many ‘haiku’ in English are not haiku in the traditional Japanese sense. A haiku is about nature and the natural world, not people and the human world. Another type of 5-7-5 syllable poem, the senryu, is an often satirical poem about humans and the human world. But most senryu poets who tweet their poems use the hashtag #haiku for their senryu. Because in English haiku tends to mean both. If you are a serious poet seeking publication in literary magazines, you probably already know that most of them don’t accept previously published poems. What you may not know is that nearly all consider posting your poem online as a form of publication. But then, there are not a lot of 2nd Amendment poems getting accepted into literary magazines, so you may as well tweet them. You can also tweet short free verse poems or rhyming poems. Or use other poetic forms such as the tanka, lune, Collom lune…. And if you tend toward writing longer poems, blog the poem and tweet the link. It doesn’t matter. #2Apoems forever! Join the revolution! OK, maybe I shouldn’t write haiku while I’m watching true crime shows on television. Normally I’m not rigid about the 5-7-5 syllable pattern when I write haiku, since the best haiku in English don’t always do so. I’m also not rigid about including a season word— since some of the early Japanese haiku I’m studying (in English translation) are not so rigid about that. But in this poem I decided to go more traditional. I do that some times. This is my method for writing haiku (and sijo) lately. I copy a haiku from a book into my notebook as a model. The book I’m using right now is ‘The Classic Tradition of Haiku’ edited by Faubion Bowers, which is very good since it gives the classic haiku in transliterated Japanese as well as in an English translation. For some of the haiku it gives two different English translations. I think I detect some slight influence in the mood, but actually the greater influence in this haiku was the list of season-words for autumn in ‘The Haiku Handbook’ by William J. Higginson— which is the best book I’ve found so far on haiku, I’d urge any poet to add the book to their personal library. Not to mention the English teachers and the homeschooling moms. Poets United is a great way to meet other poets from around the world. I have been working on organizing my poems into a master Scrivener (writing software) file, and also have started a Scrivener project for my next poetry book, ‘Waiting For The Poison Shot’. I’m also doing a revised edition of my first poetry book, ‘Where The Opium Cactus Grows’. I am revising some poems, and restoring others to an earlier form. I’m adding some bonus material such as my short story ‘The Dust Mouse’. There will also be a preview of ‘Waiting For The Poison Shot’ that will include at least 10 of the poems set aside for that work. I have a Facebook author page, Nissa Annakindt, poet, Aspie & cat person. If you have a FB author page or poetry page, perhaps you could stop by my page and let me know about yours, so I can like yours? I have visited 22 other Poetry Pantry blogs so far this Sunday (10:36 am). I dare ya to go to Poetry Pantry #217 at Poets United and beat that record.